March 2019 Newsletter We hope you enjoy our March newsletter! February 2019 Newsletter Enjoy our February 2019 newsletter, Hot Button Issues, written by a Personal Injury Attorney! January 2019 Newsletter Happy New Year to all! We are excited for you to read our January newsletter of Hot Button Issues! November 2018 Newsletter On our November newsletter, you will learn about our newest VIP Campaign: Mommy Makeover! You will also learn what we all of us are thankful for this Thanksgiving. 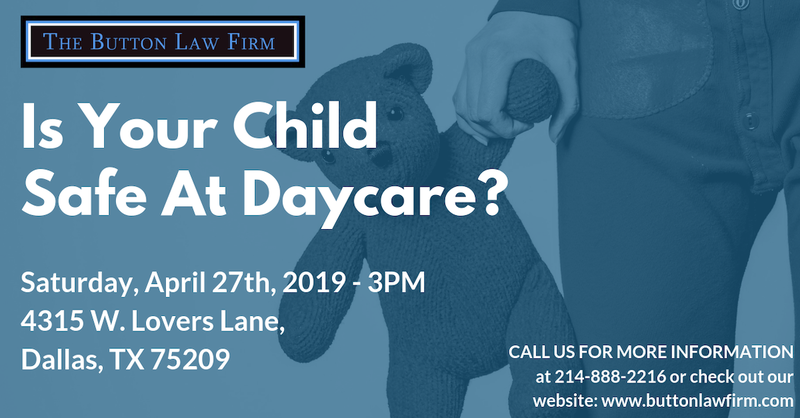 October 2018 Newsletter On our October newsletter, you will learn about why we truly have a passion for daycare cases. You will also meet Marcus Moore, our community hero and so much more! September 2018 Newsletter Check out this month's newsletter and read about my trip to Denver and Montana! August 2018 Newsletter We hope you enjoy!